Valencia Belcaro Homes – An Adult Community 55 and older. 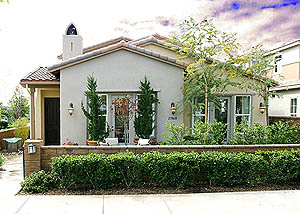 The Belcaro development in Valencia California is an adult community for active seniors over the age of 55. Located alongside the Santa Clara River with views toward the mountains to the north and south with the Santa Clara River Trail bordering the northern side there is easy access to the I-5 freeway from McBean Parkway and Copperhill Drive, it is also close to the Valencia town center for shopping, restaurants and entertainment. The home owners association provides security behind guarded gates, full recreation facility with pool and spa, and community activities. Two tracts are found within this development – The Greens and Liberty. Homes are both single story and two story with one model also having a Casitas for a guest house, craft area or extra garage. 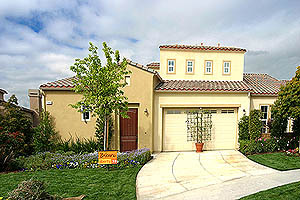 Homes vary in square footage from around 1600 – 2400 square feet.